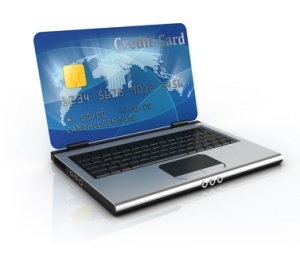 Never enter your credit or debit card information at a website that is not a secure one. In most cases when a site is secure a lock icon will appear somewhere on the web page. That lock icon is not just a picture though if it is genuine. You should be able to click on it and have more details about the sites security displayed. Another good indication that a website is genuinely secure is that instead of its web address beginning with an “http” it will display an “https” instead, indicating that it is secure, although not all websites will display this way. Do a little homework or research on the merchant you are buying from if it is not a name or company you are familiar with. It is becoming increasingly easy for even the smallest of companies to accept nonlinear credit card payments so a quick Google search may be in order to see if anyone has ever complained about the company or site before. You should also make sure that a physical address and contact telephone number is listed somewhere on the site as well. Don’t judge a company by its website alone. Just because someone has a very flashy and professional looking website does not mean they are trustworthy and a simple and basic site does not mean that a company is not the real deal. Beware of accepting deals offered to you in unsolicited emails, especially if you have never heard of the company making the offer before. Most reputable companies understand the severity of the CANSPAM laws and will not send out offers to people who have not legitimately shared the email address with them voluntarily in the past. Keep track of all the details of your online credit card transactions, including the date and time you made them in case there are problems down the line and you need to dispute the transaction. If you are purchasing goods on eBay possibly the best way to protect yourself and your credit card information is to sign up for, and use, PayPal to pay for your auction wins instead. PayPal draws funds from the credit card you specify, or your bank account should you prefer, but then that information is never shared with seller. Most PayPal purchases are also covered by a Buyer Protection scheme that means it is possible to get all your money back relatively easily if your items never arrive, or are significantly different to the way they were described in the auction listing. If a seller does not accept PayPal as a form of payment for their auction that does not mean that the seller is not a good one. PayPal does charge sellers fees for using their service and some people just do not want to pay them. If a straight credit card purchase is your only option then be extra vigilant. And if you are directed to a site outside of the auction site checkout system to complete a credit card payment make sure it is secure. If you have doubts don’t complete the transaction and contact the auction site for guidance as to how you should proceed. There are a growing number of free trial offers on the Internet these days for everything from gaming and film site subscriptions to diet pills and beauty products. Although these are not usually out and out scams they are very confusing and often credit card user’s end up incurring huge charges that they did not expect because they failed to understand the “fine print” associated with these free trial offers. How does this happen? Often a site will offer their product for just the “cost of shipping and handling” usually a low charge made to a customer’s credit card. What many fail to realize though that by entering their credit card information they are usually signing up to receive the product or service on a recurring basis, often at a cost far higher than they are willing to pay. For example, many trials of diet pills will send you small supply for a nominal charge. However if you do not cancel in time your card will be legitimately charged for a much higher amount for the next supply. If you are tempted by theses offers make sure you have read and understood every word of the fine print to avoid nasty financial surprises.